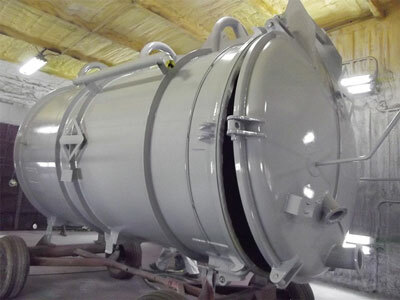 We offer full custom design of Code & Non Code Vacuum Tanks to fit your needs. Included in our stock is a large selection of standard sizes and models; fully dressed out or stripped down tanks; mounted on your truck/trailer or on ours, with the latest and best industry extras. Choose Global Vacuum Systems for your next vacuum truck, and you won’t be disappointed. In addition to truck manufacturing, we also offer repair and maintenance services. We have undergone DOT inspection and have top-of-the-line repair facility for our units and parts department. Our highly trained repair technicians will service your vehicle with the attention to detail you need. We pride ourselves in a quick turn around to get your units back on the job. Your vehicle will be up and running in no time.